In this dialog the real-time METAR data of the selected airport or weather station is displayed. 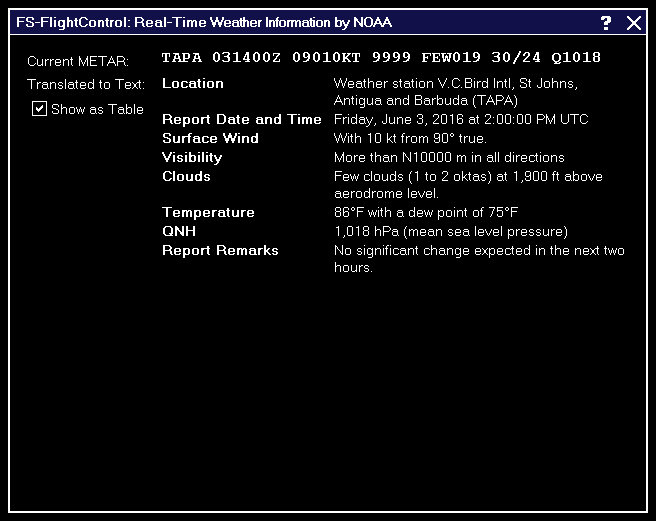 Additionally the METAR data is decoded into readable text in which you can decide if it should be displayed as table or as continuous text. Note: You can change the used real-time weather source in the Settings module.